Dr. Michael Kraft, a professor of Public and Environmental Affairs at the University of Wisconsin at Green Bay, will be coming to Santa Cruz next week. Among other things, Dr. Kraft will be making a presentation in the Environmental Law and Policy class I am teaching this Quarter at UCSC. 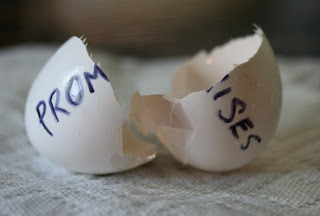 Rinquist and Dasse ("Lies, Damned Lies, and Campaign Promises? Environmental Legislation in the 105th Congress," Social Science Quarterly 85 (June, 2004); pages 400-419) find that members of Congress do vote in a way that is consistent with campaign promises they made, although they also find that Republicans are "far more likely to break their campaign promises," and that pro-environmental campaign promises are more likely to be broken than are others (p. 417). The explanation for such findings is likely found in the need for Republicans to express support for popular environmental policy activities (e.g., government regulations to keep the air and water clean) even though philosophically they are inclined to support deregulatory legislation. In short, it is politically imperative to campaign in favor of the environment, but also easy to break such promises after the election because the issues are rarely salient to voters. Anyone who has followed environmental politics with any attention will agree that Dr. Kraft is on target. Frankly, while Republicans are "more likely" than Democrats to break their environmental promises, I can testify that elected officials from both parties are guilty of this practice. The lesson I take from this is that we need to "care more," and to stay connected to the politics we wish to see prevail. An issue becomes more "salient" when we don't forget about it, and make it a priority. That does take time, but the fate of our human civilization may hang in the balance (at least that's a fair deduction if you believe, as I do, that the world we have created is radically dependent on the world of Nature, and that our human actions are undermining the natural systems that support our continued survival).